Renowned biological and materials engineer Angela Belcher will present the annual Joseph Priestley Award Celebration Lecture at Dickinson College, “Giving New Life to Materials for Energy, the Environment and Medicine,” on Thursday, Sept. 27, at 7 p.m. in the Anita Tuvin Schlechter (ATS) Auditorium. Belcher will discuss the possibilities the field of engineering biology provides for working with specialized materials for energy, environmental remediation and cancer diagnostics and treatment. She will address conditions under which organisms first evolved to make materials and scientific approaches move beyond naturally evolved materials to genetically imprint advanced technologies. She will draw from examples in lithium- and sodium-ion batteries, lithium-air batteries, environmental clean-up and ovarian cancer imaging and treatment. Belcher is the James Mason Crafts Professor of Biological Engineering & Materials Science & Engineering at Massachusetts Institute of Technology (MIT). Her work spans the fields of biomaterials, biomolecular materials, organic-inorganic interfaces and solid-state chemistry and devices. Her primary research focus is evolving new materials for energy, electronics, the environment and medicine. Belcher is on the faculty of MIT’s Department of Biological Engineering, Materials Science and Engineering and the Koch Institute of Integrative Cancer Research. 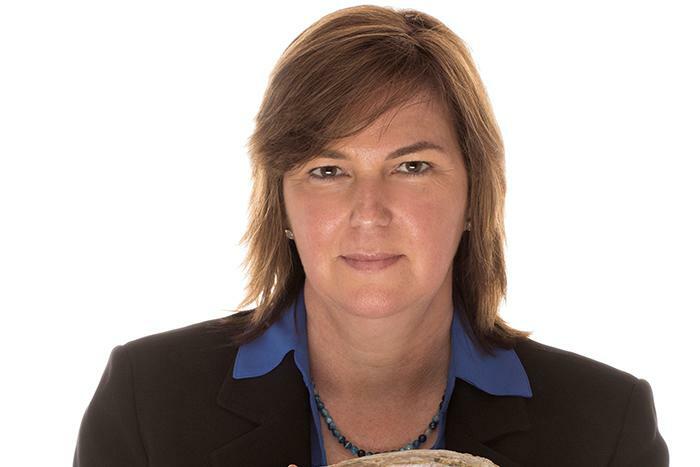 She is also the founder of Cambrios Technologies, Inc. and Siluria Technologies, Inc.
Belcher is the recipient of many awards including the 2013 Lemelson-MIT Prize and the 2010 Eni Prize for Renewable and Non-conventional Energy. In 2009, Rolling Stone named her one of the “top 100 people changing the country.” In 2007, TIME named her a “hero” for her research related to climate change. Belcher is a MacArthur Fellow, a Packard Fellow, a National Academy of Inventors Fellow, an Alfred P. Sloan Fellow, a National Academy of Engineers Fellow and a member of American Academy of Arts and Sciences. The Joseph Priestley Award is presented by Dickinson College in memory of Joseph Priestley, discoverer of oxygen, to an individual who has made significant contributions to science and the welfare of humanity. Each year, a different science department is responsible for choosing the recipient. This year, the department of chemistry selected Belcher for the award. Past recipients of the award include famed astronomer Carl Sagan, former NASA scientist and climatologist James Hansen and numerous Nobel Laureates. The event is supported by Dickinson’s Priestley Fund, sponsored by the Clarke Forum for Contemporary Issues and co-sponsored by the departments of biology, chemistry, earth sciences, environmental studies, math & computer science, psychology and physics & astronomy.